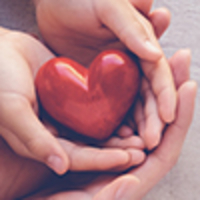 Provide comfort for the family of Eugene Ziegler with a meaningful gesture of sympathy. Eugene Paul Ziegler, of Mount Laurel, NJ passed away on Wednesday, January 30, 2019, in the comfort of his home. He was 82 years old. Mr. Ziegler was born and raised in Philadelphia, PA. He had been a resident of Mount Laurel for the past 41 years. He was an active communicant of Saint John Neumann Roman Catholic Church, in Mount Laurel, where he served as an Usher and a member of the Knights of Columbus. Mr. Ziegler worked as a manager at Pathmark supermarkets, in various locations throughout the area. 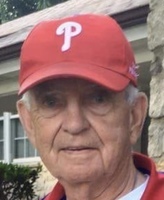 In his leisure time, he enjoyed watching the Phillies and the Eagles, and working on wood projects in his tool shed. In his younger years, he enjoyed golfing and bowling with his nephews. He was preceded in death by his parents; Frederick and Isabella Ziegler (nee Goodchild); five brothers, Robert, Fred, Charles, William, and Francis; and five sisters, Marguerite, Isabella, Anna, Harriet, and Bertha. Surviving are his beloved wife of 54 years, Margaret E. Ziegler (nee Wagner); daughter, Miriam Ziegler; nephews, Robert Jr. and Stephen, Sr.; and many more nieces and nephews. A visitation will be held on Monday, February 4, 2019, from 8:45 to 9:45 AM, at the Mount Laurel Home for Funerals. The funeral mass will be celebrated on Monday, February 4, at 10:15 AM, at Saint John Neumann Roman Catholic Church, 560 Walton Avenue, Mount Laurel. Final disposition will be private. In lieu of flowers, memorial donations can be made to the ASPCA or Humane Society. Our deepest sympathy to Miriam Ziegler and her family. My deepest sympathy for your loss. He was baptised in Christ and will share in His resurrection. May perpetusl light shine upon him an through the mercy of God may he rest in peace.